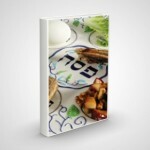 OLAMI Resources / Featured Posts / Send FREE & Stylish Chanukah Cards via PaperlessPost.com! Send FREE & Stylish Chanukah Cards via PaperlessPost.com! We have now formally entered Kislev, and it’s time to begin your Chanukah preparations. If you are someone who is searching for an inexpensive way to send out Chanukah cards to your friends, family, congregants, and supporters—there is no need to keep on looking! You can now send FREE designer Chanukah cards using Paperless Post. Paperless Post was founded in 2008 by Alexa Hirschfeld and her brother James who believed that aesthetics and efficiency can go hand in hand. Best of all, it is not supported by advertisers, so your cards and invitations will remain personal and free of inappropriate pop-ups/ads. If you do opt to send it using the traditional method, and print your cards, they are affordable, especially relative to printed cards. Keep in mind, while they’re landing in an inbox as opposed to a mailbox, your recipients may appreciate receiving the card from you nonetheless. 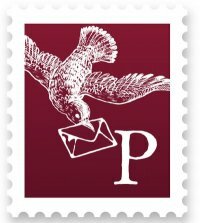 After all, Paperless Post does not send it to the recipient looking like an email. Instead, it comes with a beautiful envelope liners and stunning fonts and patterns! All in all, we are certain that these cards will be great to send to parents or students as well as those who attend your programs or who help fund your events.